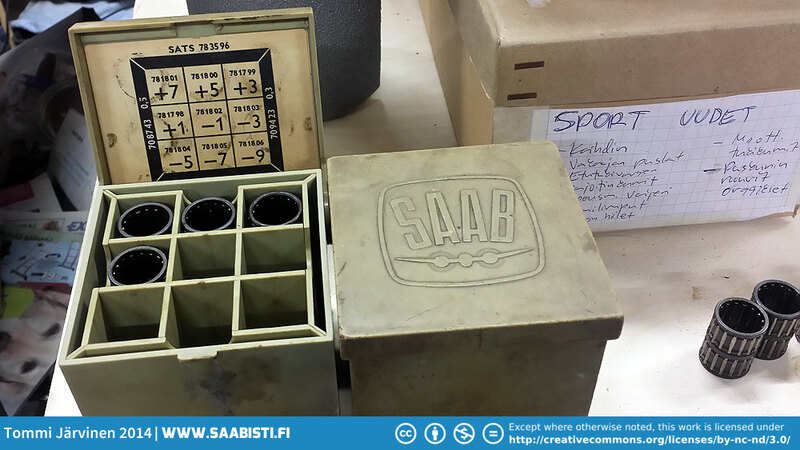 But, as anyone who has owned a Sport knows – it’s a completely different car than the regular Saab 96 bullnose. Most people look at a Sport and since it looks like the regular 96 think there’s not a whole lot of differences. But there is a lot – basically only the body is the same. – the complete interior including seats, panels, dash, metering etc. And if you go more into detail you find more stuff that’s different. That makes parts hunting bit of a challenge, since you need to be ever vigilant not to miss Sport specific parts unintentionally. 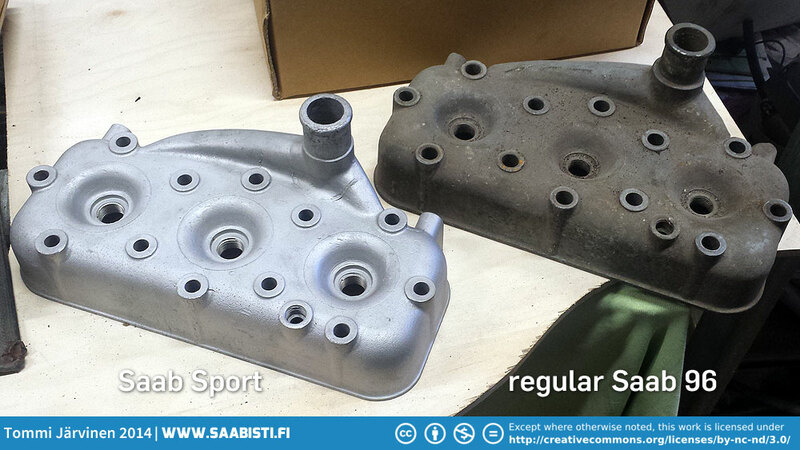 Here’s Saab Sport head (left) and a regular 96 head (right). From the top there’s not a whole lot different other than the Sport head having smaller bolt holes. Underside. Here’s the real difference – the Sport head has a wider squish area (around 12mm) than the regular head (around 9 mm). 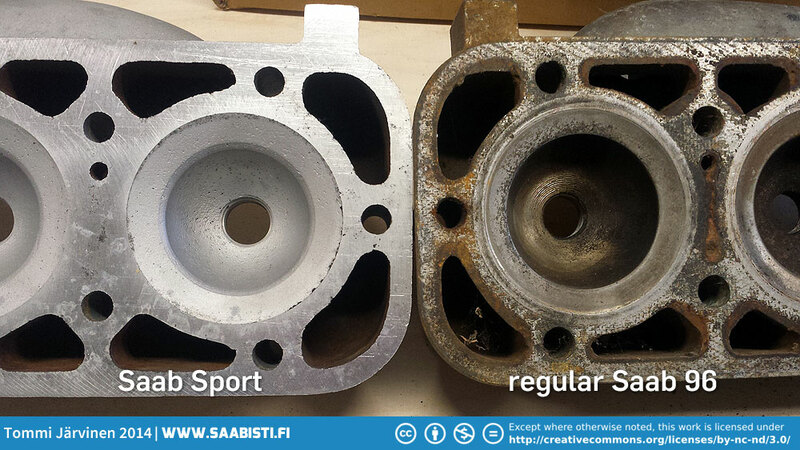 The chamber volyme on the Sport head is also smaller, which increases compression ratio. The Sport has wider needle bearings on the piston pin than regular 96. 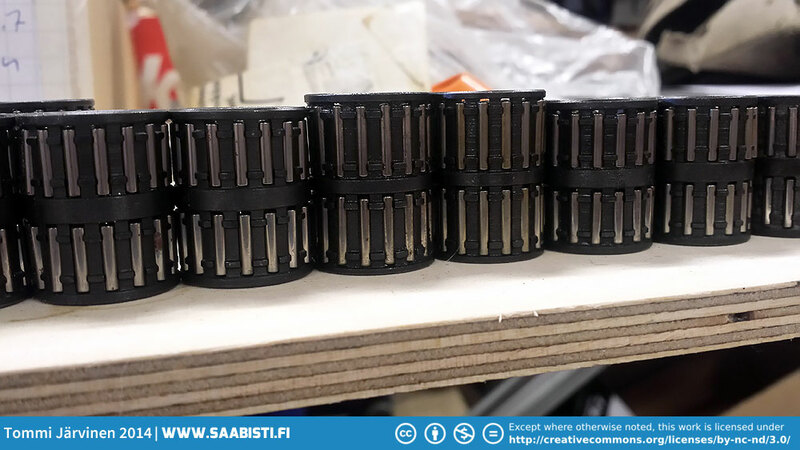 So – rebuilding a Sport crankshaft or with a tuned engine you really want to use the wider and stronger needle bearings. But they can be hard to spot if you cannot compare them to the smaller ones. 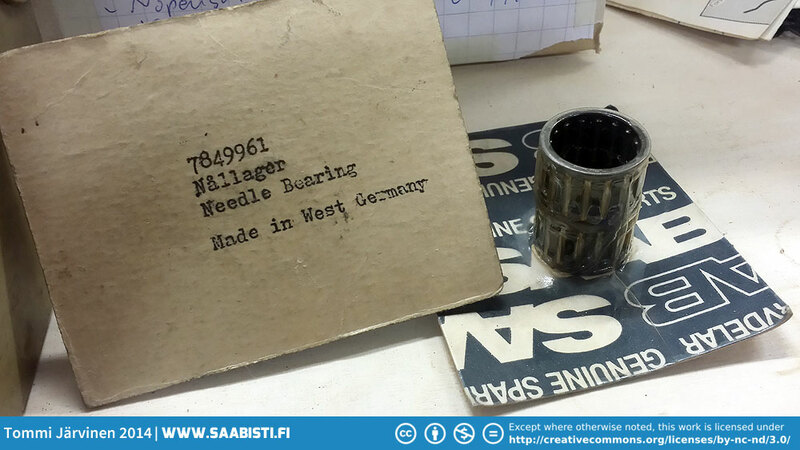 Saab Sport needle bearings in original package. When put next to the regular piston pin needle bearings the Sport ones are visibly larger.